Getting and staying connected on the water has never been easier. 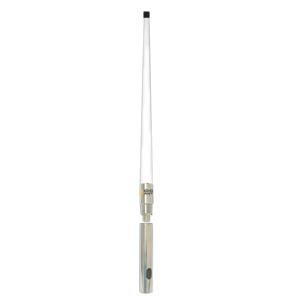 Digital Antennas 2.4GHz premium quality 10dB gain omni-directional antennas achieve optimal signal range on 802.11 b/g wireless LANs, Bluetooth and multipoint radio equipment where high gain and wide coverage is desired. Designed to match other antennas on your boat, our WiFi antennas are available in lengths of 30?, 4 and 8.